“International Variety” by James Oliver Gallery & Hot Bed in Philadelphia: Opening March 3 runs through April 24. Opening reception: Saturday, March 3, 6-10 PM. Over 50 invited international artists featuring the variety of work made on or with paper. March 3 – April 24, 2018. 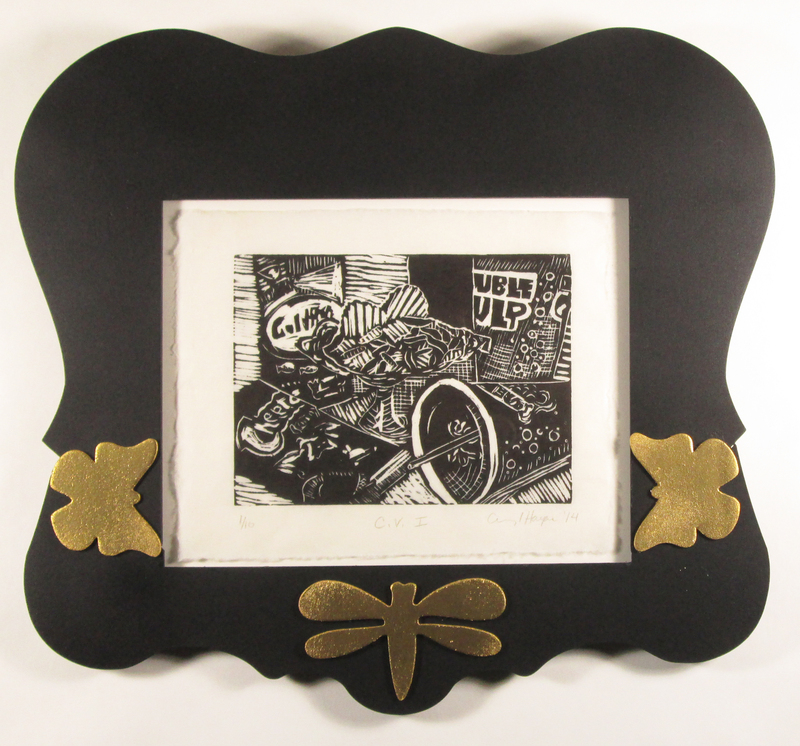 I will have three block prints form the “Convenient Vanities “series with my unique hand-made frames for these works.